Should I see a doctor for a knee injury? By far, the most common question I get from readers of my website deals with whether they should go to the doctor after an injury or wait and see if they get better. Are there signs that suggest your knee injury might be more serious? 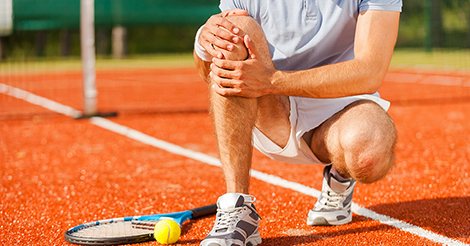 When should you see a doctor for a knee injury? I was on a trampoline 3 weeks ago and landed wrong. I heard a loud pop followed by shooting pain. I waited to go to the doctor until last week where they did an x-ray and said I may have overstretched it. A week later, I am still experiencing shooting pain in certain movements, and I can’t fully straighten it without feeling like something is in the way. Should I go back to the doctor or just wait this out? Many people try putting ice on their knees, use crutches to limit weight on it, use a compression bandage and take anti-inflammatory medications for a few days or weeks after a knee injury. At some point, they might wonder if it is getting better. In this video, I discuss ways that you can decide whether you should see a doctor for a knee injury. Discover The Solution To Your Biggest Knee Injury Challenge Even If You Have No Medical Knowledge and You’ve Looked Everywhere and Haven’t Been Able To Find an Answer! Episode 217: Why do many high school athletes use smokeless tobacco? How do I know if I have a serious knee injury? Why can’t I straighten the knee after an injury? This is a comprehensive Q&A collection on MCL and PCL injuries, patellar dislocations, patellar and quad tendon ruptures, knee dislocations and more.